Highest ORAC value of any known food, Moringa Oleifera! Moringa oleifera tea was recently found to have the highest antioxidant levels ever discovered in a food. Moringa’s ORAC is higher than blueberries and unlike blueberries, it is available year round. 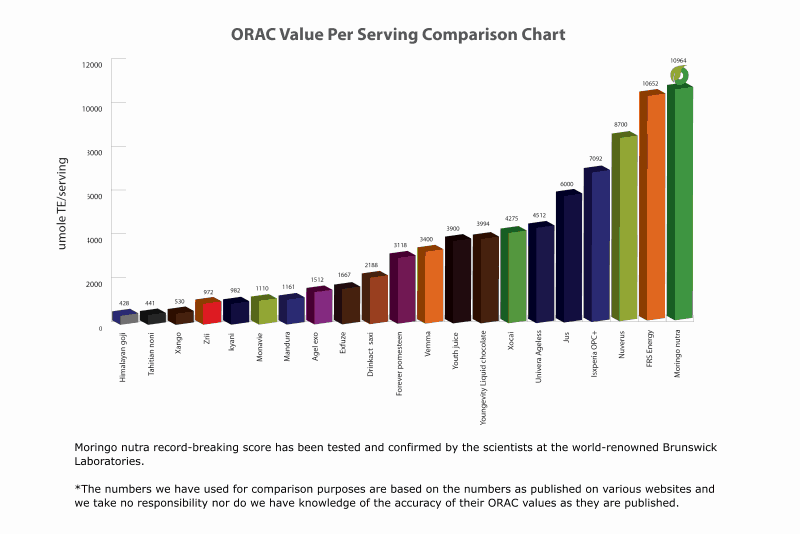 ORAC, oxygen radical absorbance capacity, is a measure of the antioxidant content of various foods. Moringa oleifera is not technically a tea, but a tisane, a herbal plant infusion. It has no caffeine and is easy to digest, making it perfect for the entire family. A single serving has several times the nutritional value of several other common foods which are eaten specifically for their nutritive content. For instance, Moringa oleifera has seven times the vitamin C as found in a serving of oranges and three times the potassium as found in a serving of bananas. Moringa oleifera provides a boost to energy because of the naturally occurring nutrients. Moringa oleifera was recently featured on the Dr. Oz show where it was ranked as one of the best drinks on the market for superior health. He called a cup each day an excellent way to jump start a morning. In some cultures, Moringa oleifera is known as the “miracle tree” because of the effect is has on the human body. No less an authority than the World Health Organization uses it in daily nutritional supplement programs for undernourished children around the world. 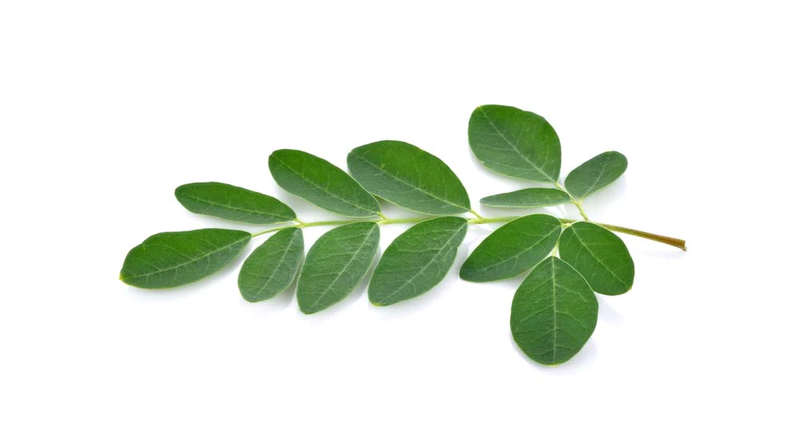 NEWTOWN, CT, June 28, 2012 /PRNewswire-iReach/ — In an independent test, Moringa oleifera scored the highest in antioxidant content of any food yet discovered. 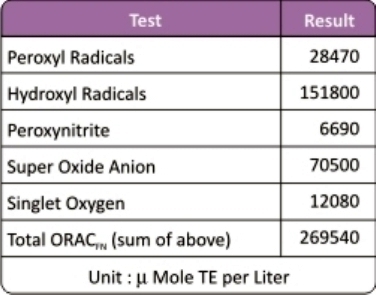 Beating the record-holding acai berry by over a 50% margin, Moringa Source Moringa oleifera leaf powder measured over 157,000 umoles using the Oxidant Radicals Absorbent Capacity (ORAC) system of measurement developed by the National Institute of Health’s National Institute for Aging. Known as the “Miracle Tree,” Moringa oleifera’s naturally-occurring antioxidants support the prevention of cancer and other diseases that attack the body’s cells. Antioxidants, aids cell restoration, which can combat oxidative stress by preventing free radicals from reacting and causing damage to cells. In addition to ranking first in antioxidant content, Moringa oleifera contains over 90 nutrients such as vitamins, proteins, amino acids, iron and calcium, offering unique anti-aging and energy-enhancing characteristics. The benefits of this “super plant” have been embraced as one of nature’s most powerful sources of nutrients to support healthy living in India, Africa and South America for more than 2,000 years. Health and wellness experts in the U.S., including Dr. Mehmet Oz, and in Europe have begun recommending Moringa oleifera for sustained energy and general wellness. Moringa oleifera was recently featured on “The Dr. Oz Show” as a way to jump-start the day and re-energize your life.